We have a new match added to the G1 Supercard event scheduled for this weekend in New York City's Madison Square Garden. Another match has been added to this weekend’s (Sat. April 6, 2019) Ring Of Honor (ROH) and New Japan Pro Wrestling (NJPW) G1 Supercard. The show goes down from Madison Square Garden in New York City. There are several high-profile matches slated for the card already. Jay White will be defending his IWGP heavyweight title against Kazuchika Okada. Also, Jay Lethal will defend his ROH World Title in a Triple Threat Ladder match against Marty Scurll and Matt Taven. Now, it has been announced that a Six-Woman Tag Team match has been added onto the pre-show. 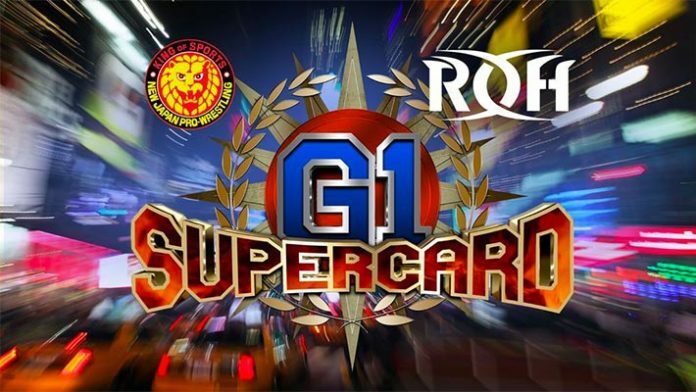 What do you think about the updated G1 Supercard?